Preheat oven to 350°F (177°C) for convection roast or 375°F (190°) in a regular oven. Combine all remaining ingredients and mix into a paste. Lift skin from breast and thighs being careful not to tear it. Tuck paste between skin and meat, spreading it around as much as possible. Put extra paste inside the cavity and on outside skin. 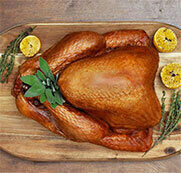 Place turkey on a wire rack in a roasting pan in the oven. Cover the top of the bird loosely with foil for the first 1-2 hours of cooking depending on the size of the bird. 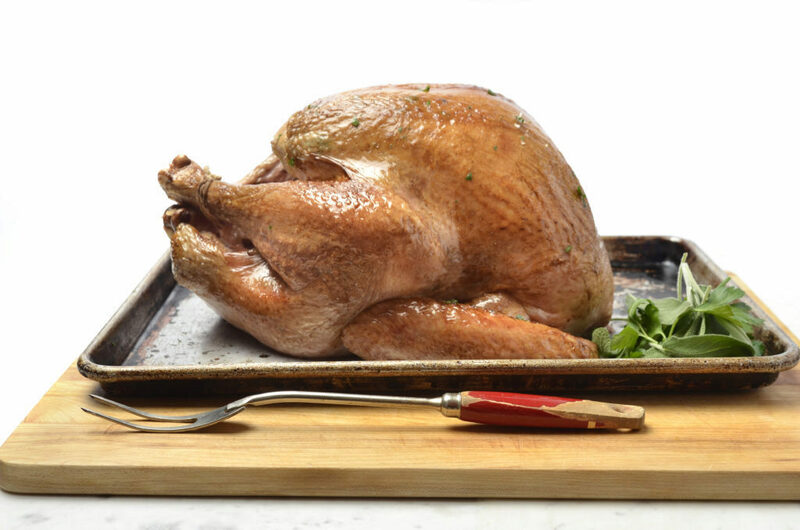 A meat thermometer should read 170°F (77°C) when the turkey is fully cooked. Servings and cook time based on a 10 lb turkey with leftovers.